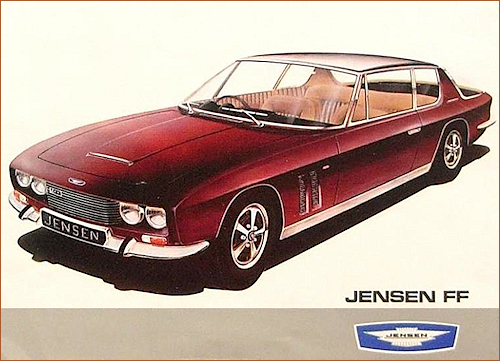 Jensen Interceptor, which came out in 1966, and its somewhat longer twin Jensen FF are powerful machines. The latter has the Ferguson four-wheel drive and Dunlop Maxaret brake controller as the only production car in the world. The big Austin-Healeys were built at West Bromwich, alongside the contemporary Jensen models, to the end of Healey production in 1968. This was in fact, the most profitable part of Jensen's business. In mid 1968 following a disastrous 1967 year Norcros decided to sell their automotive subsidiary. Current production rate is 10-15 Interceptors and 2 FFs a week. It was bought by a merchant bank.